Happy Halloween! Lovely, fall weather continues through Halloween in Big Bear Lake with highs in the mid 60’s. November brings with it a change in our weather with our first chance of snow for the season! Saturday will be cold and blustery with things clearing out on Sunday but staying cold. Temps rebound a bit next week. A blanket of man-made white can be seen at the snow play areas already with opening dates announced soon. A reminder that winter is almost here!! Be sure to check out the Halloween Events on the flyer below. There is fun for all ages going on so be sure to get your spooky on!! RS Vacations has some really great deals on homes right now. We have extended our FALL SPECIALS through November 16, so plan your getaway soon to take advantage! Visit our website today and book your perfect Big Bear Vacation Cabin. We still have homes available for Thanksgiving, Christmas and New Years, but they are going FAST! Book today and enjoy a magical Holiday in beautiful Big Bear Lake! Beautiful fall weather continues in Big Bear Lake this week with highs in the 60’s, lows in the 20’s – 30’s and lots of sunshine. 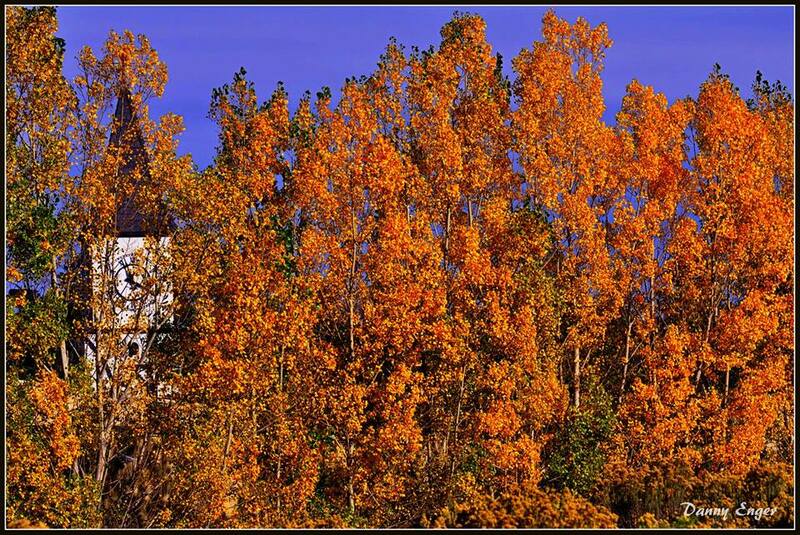 Take advantage of these fantastic conditions to see the explosion of autumn colors all around the Valley. Some suggestions? Take a hike to Castle Rock, ride the chairlift at Snow Summit and mountain bike down miles of trails, take a 4 x 4 expedition through the back country, fly through the forest on a zip-line adventure, take a lake cruise and see the colors from below or take a helicopter tour and admire the beauty of the mountains from above. There is so much to do in Big Bear and this is one of the most enjoyable times of year to experience it! This weekend, be sure to take part in Oktoberfest ‘Unplugged’. Check out all the details on this unique event on my Tuesday’s Topic post here. Looking for some chills and thrills? Head over to the Meadow Park Gym for the ‘Panic in the Park Haunted House’. They also have a not-so-scary house for the little ones earlier in the evening. 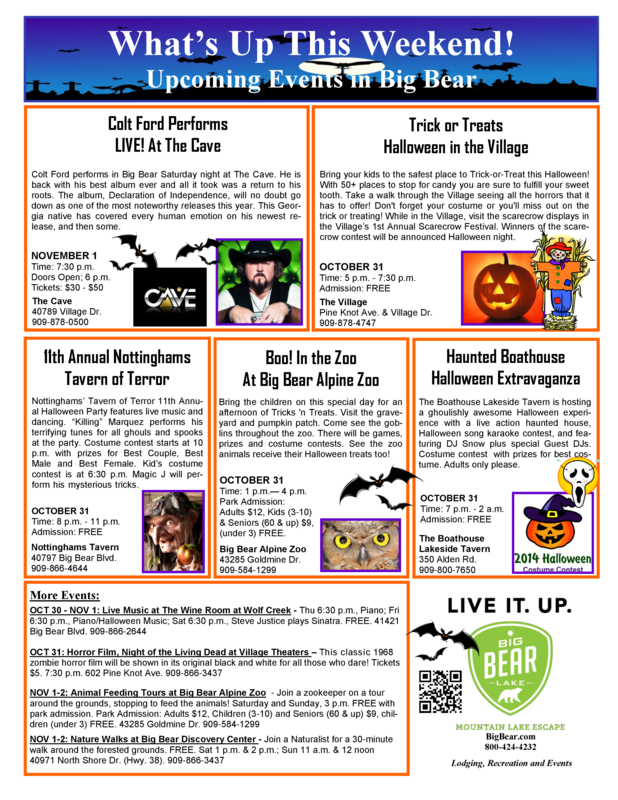 The Big Bear Alpine Zoo has a couple of events happening: Wolf Awareness Day is on Saturday from 11 AM to 3 PM and the Flashlight Safari is that same evening beginning at 6:30 PM. Hurry and take advantage of our fall specials before they disappear October 31. Save 25% on a two night stay OR Stay two nights and get the third night FREE! Our cabins are clean, comfortable and have the amenities you want so head on over to RSVacations.net and book a Big Bear Vacation Cabin today! 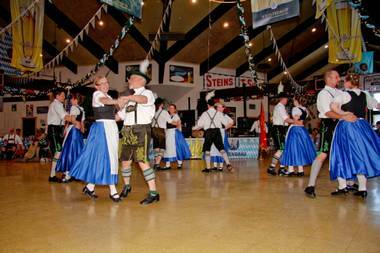 The Big Bear Lake Oktoberfest celebrates 44 years of German style family fun and good times this year. Rated Southern California’s #1 Oktoberfest, this Fall’s festival offers authentic German entertainment, food and beer! New last year and returning this year at Oktoberfest is Oktoberfest “Unplugged”. “Unplugged” features a five course German meal paired with a different beer or wine at each course. Guests will be greeted with the traditional German Obstle and passed German cold-cuts and cheeses as they arrive. The evening’s festivities include story telling by the personalities who started the Big Bear Lake Oktoberfest including Hans the Burgermeister, Ernie the long-time assistant Burgermeister, Bonnie the World Record Holder for carrying steins, and many more. We’ll take you back to the old days and relive some of the antics, trials and tribulations that have made us world famous! Learn the dances and sing-a-longs and the history behind them so you’ll be prepared for a full weekend of Oktoberfest fun. Welcome to the 2nd annual “Oktoberfest Unplugged” evening. The following is this year’s specially created menu. We are looking forward to celebrating an intimate, traditional German evening with new and old friends. Festivities begin at 6:00 p.m. with dinner served at approximately 7:00 p.m.
We have planned a full night of German fun, great food and entertainment. You will not want to miss a moment of the fun! A hearty portion of both Herring salat made in true ‘old World’ fashion and Fleishsalat, a meat salad made with beef, apples, pickles, capers and a variety of German seasonings. For anyone who has ever traveled to Germany, you will most likely recognize this Bavarian favorite! Calf liver dumplings served in a seasoned beef bullion broth. A trio of salads including beet salad, cucumber salad and mixed greens with a raspberry vinaigrette dressing. Created in the late 19th century at a Berlin restaurant, this re-vamp of the traditional veal schnitzel was named after one Friedrich von Holstein. The crisp-fried veal topped with luscious egg and salty anchovies and capers is a brilliant study in contrasting flavors and textures. A classical Sunday dish in Austria and Germany, Rindsrouladen is a thin beef filet rolled and filled with a blend of mustard, bacon and dill pickle. Sides dishes include hand-made Spatzle, Red Cabbage and String Beans all served family-style. Hildegund’s Apfel Strudel with warm Vanilla Sauce topped with Barenjager Infused Whip Cream. We look forward to celebrating our heritage with you! Beautiful, fall weather continues this week here in Big Bear Lake with highs in the upper 60’s to low 70’s and crisp, cool nights. Autumn colors are at their peak and it is the perfect time to get into the forest and take it all in! Enjoy a hike or mountain bike ride and make sure to snap some photos. (This photo is from Danny Enger/Big Bear Scenery and Sunsets.) It’s gorgeous up here!! If you grew up in the 80’s (like me! ), you will want to head over to The Cave in the Village on Friday night to see ABC live in concert. No can of Aqua Net is safe!! 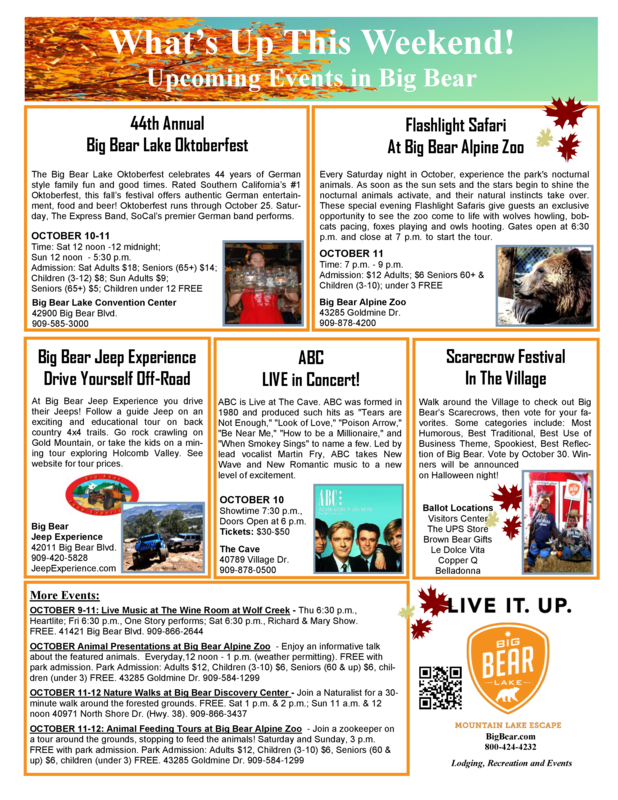 Saturday and Sunday, be sure to grab your stein, slip into your lederhosen and practice your chicken dance moves at the 44th Annual Big Bear Oktoberfest, and Saturday night, flip on your flashlight and check out the dark side of the Big Bear Alpine Zoo during the Flashlight Safari. RS Vacations is currently running a couple of Fall Specials that make it an ideal (and economical!) time to come stay and play with us. Enjoy a long weekend and only pay for two nights with our 3 Nights for the Price of 2 Special. Only have time for a quicker trip? Save a bundle on a two night stay with our 25% Off a 2 Night Stay Special. These deals are on top of our already reduced fall prices so be sure to book soon! Visit RSVacations.net and find your perfect cabin. The savings will apply automatically. See you soon! !